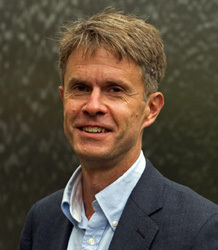 Andrew McRae is Professor of Renaissance Studies in the Department of English. Poet laureates earn their allowances at times like these, says Professor Andrew McRae. In May this year, when we celebrate the Diamond Jubilee, Carol Ann Duffy will publish an edited volume, Jubilee Lines, including sixty new poems by sixty poets, each concerned with a year of Elizabeth II’s reign. This represents a neat variation on a theme that can be traced back through British history. But what does such literature achieve? What might it tell us about the monarchs and the ways in which they were perceived? And how might it reflect upon the changing values of monarchy? If there is something polite and stylised about Masefield’s poem, that may say as much about the age he inhabited as about the poet himself. But this was not always so. What if we turn our attention to the most politically turbulent English century of all, the seventeenth? What might a study of the succession literature of the Stuart dynasty – of the years 1603, 1625, 1660, 1685, 1689 and 1702 – tell us about both literary and political cultures of the time? These dates were moments of intense anxiety and anticipation. The 1603 succession was itself neither obvious nor uncontested, the 1660 succession required a collective act of will to re-establish monarchy as the nation’s natural state, the crowning of William and Mary in 1689 was more the result of a coup than an orderly succession, and so forth. And literature of all kinds poured from the nation’s presses at each moment: poems of all kinds, pamphlets, news-sheets, histories and genealogies, accounts of royal entries, and so on. Much of the resulting output has been considered over the years as mere panegyric; however, even poetry of praise, as the example of Masefield’s poem suggests, can bear subtle meaning, and in the hands of a master it can equally be used to shape expectations of ruler and ruled alike. Ben Jonson, for instance, fashioned himself as the poet laureate at a time when there was in fact no such role, and from the moment of James I’s arrival in England he cleaved to the throne and sought to define its values. But there were risks attached to this strategy, in this most risky of centuries for the public poet. Edmund Waller, for instance, wrote a ‘Panegyric to my Lord Protector’, celebrating Oliver Cromwell at the height of his powers, as he increasingly sought to drape his protectorate with the trappings of monarchy. Just five years later he welcomed Charles II with a poem ‘To the King, Upon His Majesty’s Happy Return’. When Charles judged that the poem to Cromwell was the better of the two pieces, Waller observed: ‘we poets never succeed so well in writing truth as in fiction’. We know too little about the succession literature of the Stuart era. That’s why, in a major project funded by the Arts and Humanities Research Council, researchers at the universities of Exeter and Oxford are attempting to bring it to light, making sense of it for the first time. We will catalogue all publications from the years immediately following a succession that engage in any meaningful way with the matter. And then we will work to interpret these works, asking questions about the perception and representation of monarchy, and revisiting through this lens some critical questions about changes in political values and culture through the course of the Stuart era. In the process, we aim to revitalize debates about the politics of literature, and the values of politics, in this pivotal era of British history. One wonders finally, against the weight of this rich history of royal writing, how the poems in Duffy’s collection will negotiate the relation between monarchy and history in the twentieth century. And one wonders also how Duffy might respond if she is still in her position at the moment, sometime in the future, when poets are called upon to celebrate a third Caroline succession. This entry was posted in Uncategorized and tagged english, jubilee, laureate, literature, poetry, poets, queen on 13th Mar, 2012 by rwfm201.